3 Boys all grown up. Carpentry, graphic design, cad, but building tree houses with my kids was the best. Use to have a company called Swans Speakers but sold it. 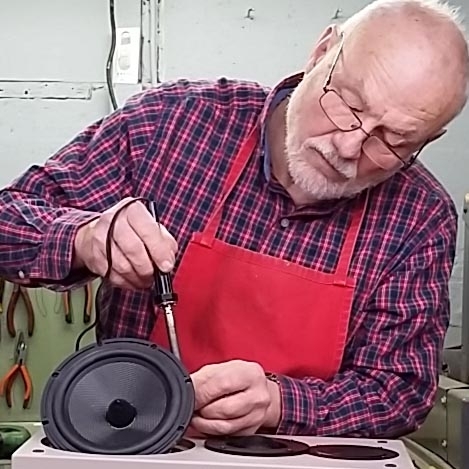 Trying to encourage dads to build kits with their kids so I took on this project for HiVi /Swanspeakers and started a web site called www.swanskits.com. frankonpei earned the First Post badge. 3 Boys all grown up. Carpentry, graphic design, cad, but building tree houses with my kids was the best. Use to have a company called Swans Speakers but sold it. Trying to encourage dads to build kits with their kids so I took on this project for HiVi /Swanspeakers and started a web site called www.swanskits.com. frankonpei earned the You Look Familiar badge. frankonpei earned a promotion to Level 1.